Before I head out the door, I’ll usually wear minimal make up and opt for an outfit that’s easy to wiggle in and out of. This means less frustration in the changing rooms, and you’re also less likely to stain something amazing with red lippy. 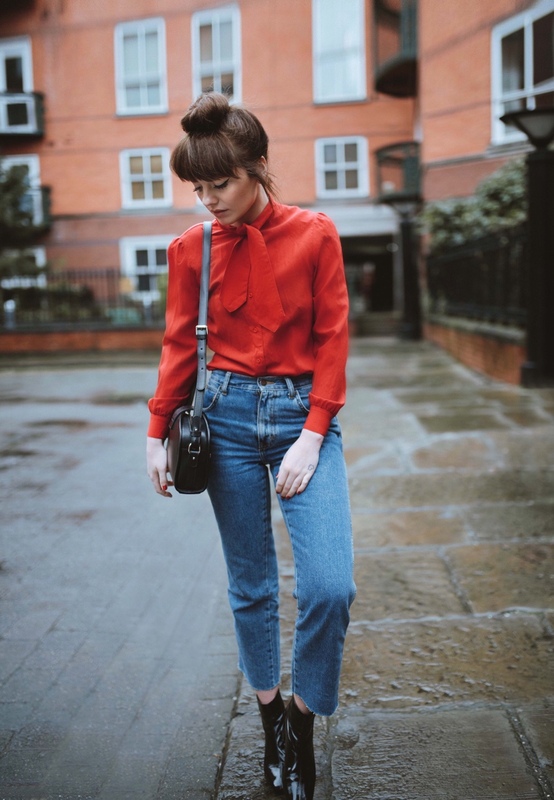 I also like to make a mental wish list of what I’m looking for – this is nearly always denim orientated, I just find that vintage jeans fit me like no other, and are usually a fraction of the price. Although I like to make a wish list to prevent myself from getting overwhelmed/wandering into a sea of sequin prom dresses that I’ll never wear – I pretty much never stick to it. You never know what you’ll find, and some days you’ll be luckier than others. Pick up what catches your eye and feels the most authentic to you, but also don’t be afraid to try out something new if it feels right. 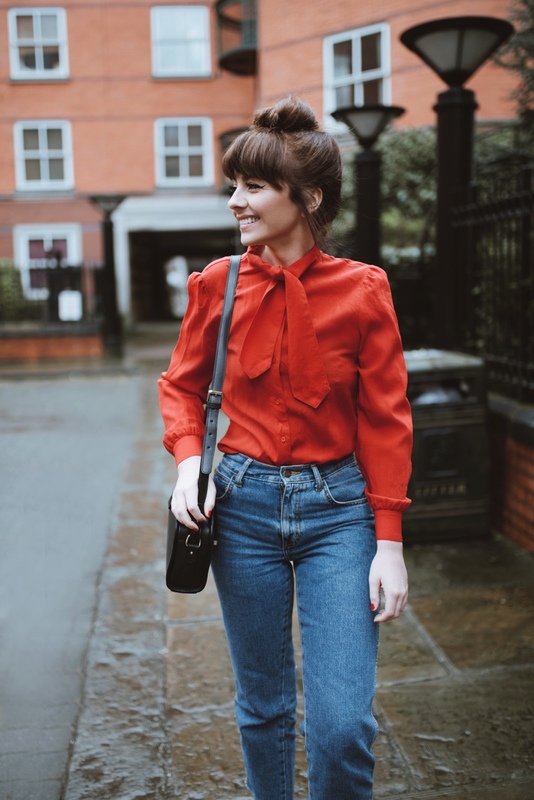 If you live in a city, then research the best vintage shops and pay them a visit – same goes if you’re visiting somewhere new, I never let myself leave without checking out at least one vintage shop. I like to see how they differ from place to place – some of my favourites were actually in Budapest, so I’d love to visit again soon. Get familiar with the shop and don’t be afraid to ask for help if you’re a newbie – especially if you’re looking for something in particular, the shop assistant is likely to know whether you’ve missed it, or even direct you towards something similar/better. 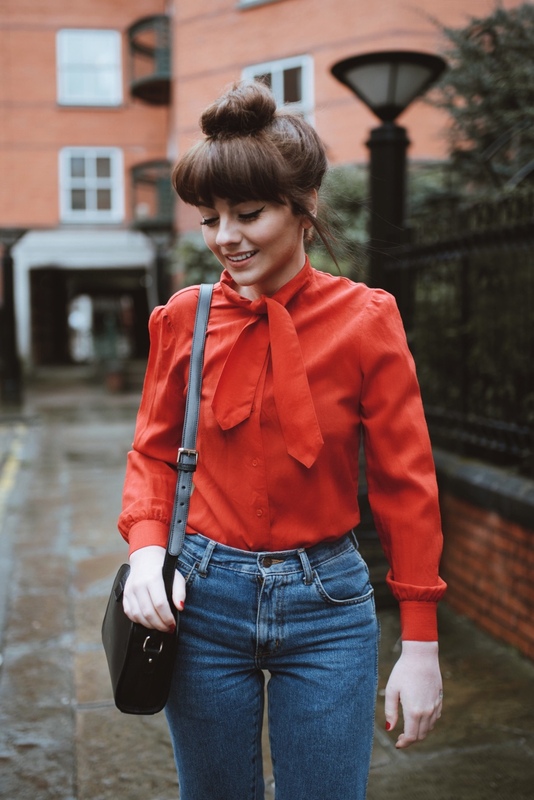 I find that most people who work in vintage shops have a great sense of style and a true love of vintage themselves, meaning they are usually happy to help you out! 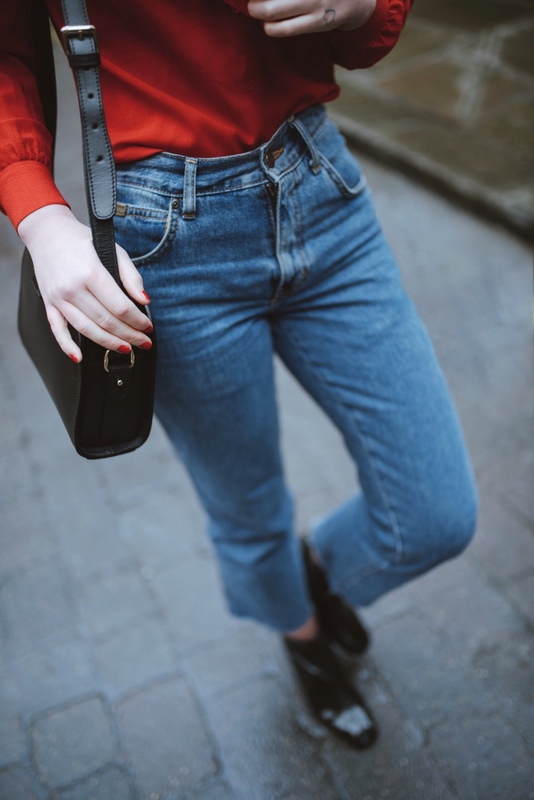 Remember that vintage Levi jeans are like gold dust – always try on a few pairs if you’re lucky enough to find some in your size. They are a pain to find and there’s not really any advice I could offer other than to measure yourself and don’t lose the faith. 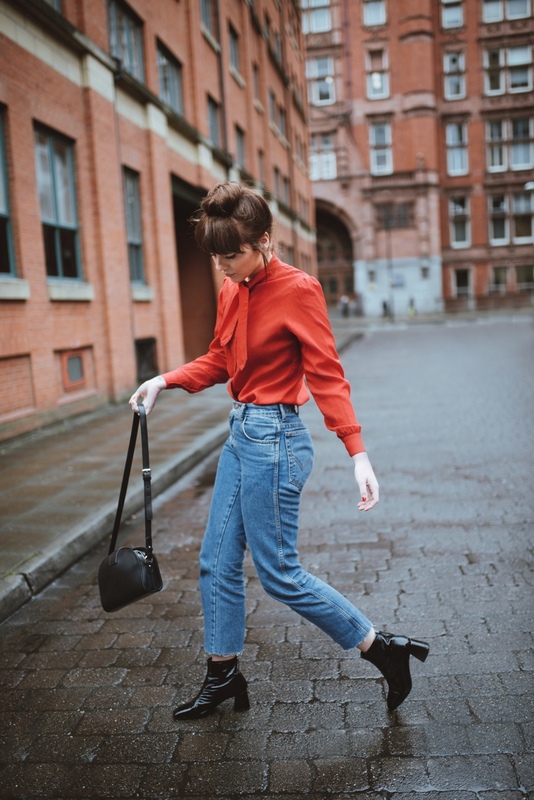 Check your local vintage shop whenever you get the chance or buy a few pairs online and pray that one of them fits – sometimes good jeans do happen to good people. 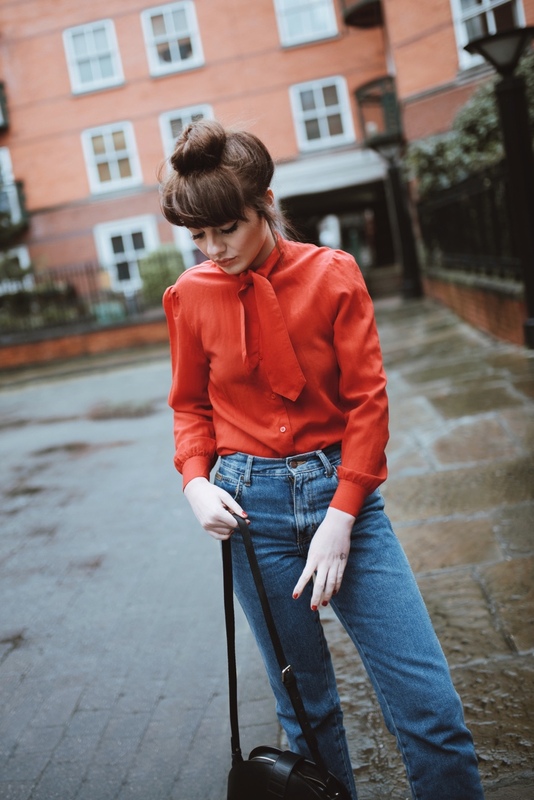 I have found a few great pairs online but most of my current favourites have been from Cow vintage in Manchester. If you don’t live in a city, don’t fret it – charity shops can be just as good (if not better sometimes), than your average vintage shop. You tend to find them grouped together, which means your chances of finding something is increased – it’s also nice to know that the money you spend will be going to a great cause. As much as I love the experience of physically shopping for vintage, it’s not always possible, and I don’t always have the time. My top tip would be to avoid the crowds – I like to visit early in the morning or just before closing time. This way I can guarantee a changing room, and there’s usually only a few people around. More space to magpie and less hovering over someone’s shoulder and praying they don’t pick up the cute blouse I spied (the Monica wedding dress scene always springs to mind). Always try on a vintage item if your buying in store – this way you can properly inspect the condition and you’re more likely to come away happy. I usually look for the obvious stuff like any holes, stains, or thinning of the material. These are usually the things that can’t be so easily fixed, so just be aware before making the purchase. Be sure to check for missing buttons or any fastenings that might not work if you’re buying something like a skirt – it’s also okay to ask for a small discount if this isn’t already reflected in the price. Save yourself time and don’t invest in anything that needs major altercations – no matter how pretty it might be. I’ve often told myself I’ll take it to get fixed and have never gotten round to it. Unless your a dab hand with a sewing machine, just walk on by and wait for something better. Older materials tend to be more delicate so the better the condition when you find it, the longer it’s likely to last in your wardrobe. It’s also a good idea to check the labels to see what you’re buying into – silk, cotton, and wool based clothing will age better than anything synthetic. As a general rule, just ignore the sizes that you see on vintage clothing and go off how it looks. If it’s true vintage, then this will be reflected in the dodgy sizing – don’t worry, you didn’t just eat too much pizza for lunch, sizing charts change with the times, and often with current trends too. I read somewhere that if you minus two sizes then it will give you pretty much the true size. So if it’s a size 12 then chances are it will fit a size 8. A great tip is to carry a tape measure with you, and sometimes I like to take a waist belt with me if I’m looking for dresses – sounds like I’m getting prepared for battle, but it really does make the experience a lot more rewarding. Especially if you’re in a rush and don’t have time to imagine it differently in front of a mirror. If I’ve not worn something in ages and I feel as though someone else would appreciate it better, I either gift to a friend, send to charity, or sell it online. 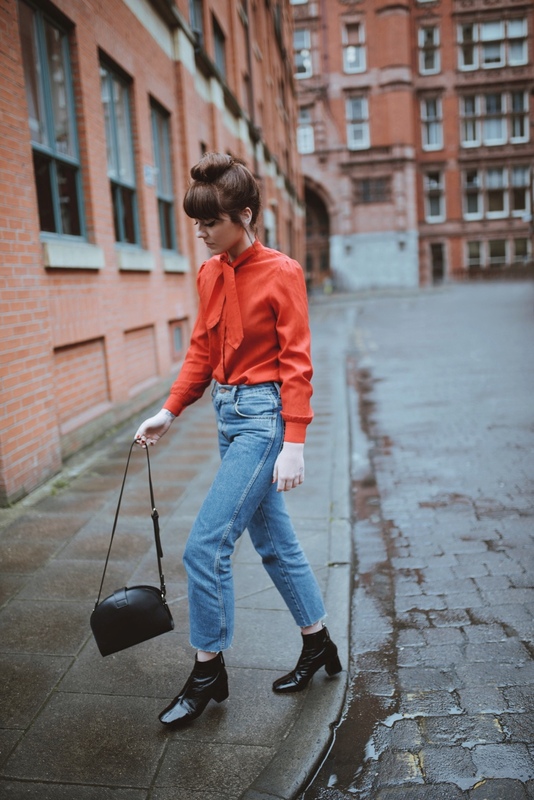 eBay and Etsy have always been my go-to for sourcing vintage online, and in more recent years Depop too. These are all great platforms for buying and selling clothing, but also for sourcing great vintage pieces too. I find that vintage shops can bump up the prices to a ridiculous amount sometimes – especially in big cities/hot tourist spots. Don’t be scared of shopping for vintage online too. 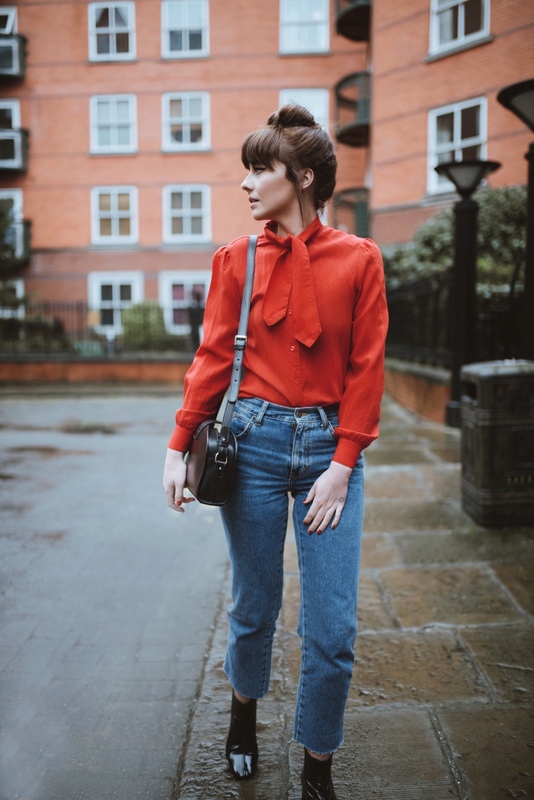 I’ll link some of my favourite places to source vintage online below for you to check out. Remember to avoid buying anything unless you can see a few clear images of the item taken in natural daylight, and don’t be afraid to ask for extra details if you need them. If it eventually arrives and you can’t get it past your knees, don’t be disheartened – create an account on one of the above mentioned platforms and sell it on to someone else. Then try again and learn from your mistakes, that’s all vintage shopping really is. Trial and error, and having fun whilst you’re at it! Where to source vintage online? Hope to see more tips from you! Those tips and links are a life saver, thank you!